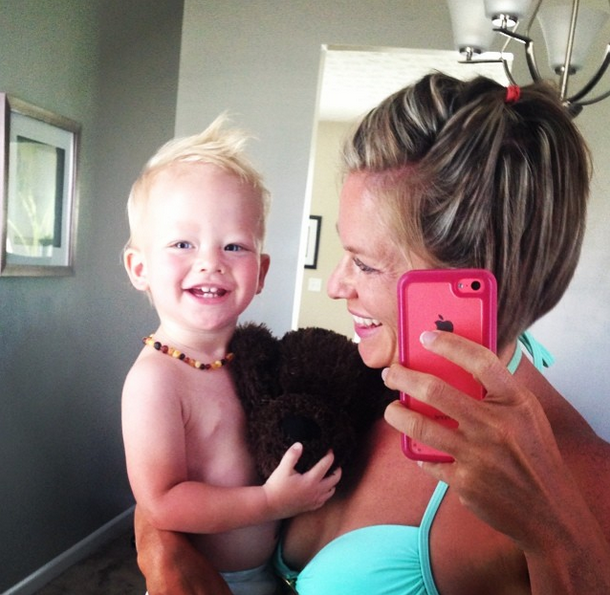 Mamas of Boys – How do you do it?! 1) Throwing my stuff in the toilet. 2) Taking his diaper off and throwing it in the pool. 3) Playing with any cords — but mostly the one’s he’s not supposed to play with. 4) Playing with technology or throwing it in the toilet/pool. 5) Being held by me. Obviously it would be too much to ask for him to play with some of his toys. LOL — seriously, boys will be boys. Mamas of boys — how do you do it?! ?